The NYPD will focus on reducing crime in six precincts. In his state of the NYPD address before a supportive audience of police brass, as well as business and political leaders, O’Neill said the NYPD will focus on reducing crime in six city precincts: the 40th, 41st and 42nd in the south Bronx; the 73rd and 75th in south Brooklyn, and the 25th in East Harlem. 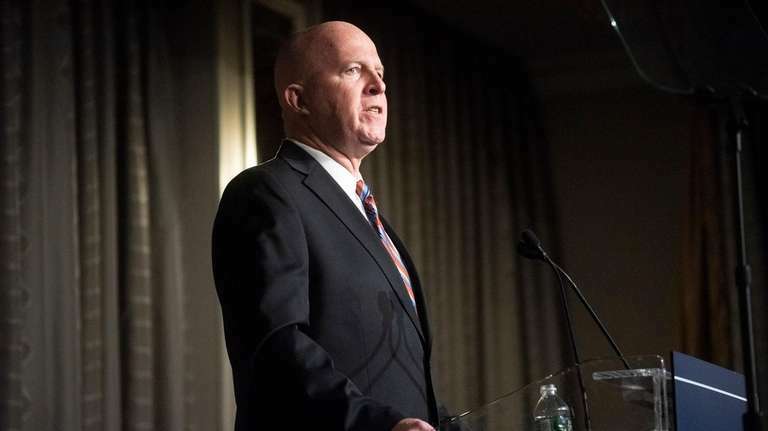 "Let me be clear," the police commissioner said during his address at the Pierre Hotel in Manhattan, "even these six precincts have seen huge drops in violent crime since the early 1990s." O’Neill’s precinct initiative is part of the NYPD's Neighborhood Policing strategy that he said represents how the department will take on crime in the future. Under the policy, certain cops are given dedicated assignments working with community members to develop sources of information and help solve other problems. O’Neill said the policy has "pushed both crime and enforcement down substantially," citywide. "There are issues surrounding home cultivation … and driving while impaired," O'Neill said. "I also have great concerns about people under 21 years of age smoking marijuana." NYPD using virtual reality to give teens 'Options'The program puts groups of teens through the curriculum so they can gain emotional intelligence and de-escalate situations.